For the UK to reap the economic and social benefits of next generation technology, like the Internet of Things, we need plenty of internet address space. The original addresses have run out, and we must implement IPv6. 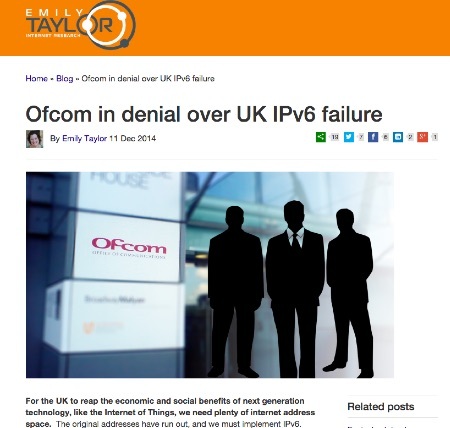 Experts say the UK has been more negative about the adoption of IPv6 than almost any other nation. Various initiatives aimed at stimulating adoption have fizzled out. The big ISPs convey a lack of urgency and Ofcom, rather than pushing industry to adopt, seems more focused on thinking of work-arounds. Why is our regulator failing to show leadership? I was going to try to summarize her post… but the more I read it, the more I just realized it is brilliantly done as it is. She weaves together many threads such as the Internet of Things, the problems with Carrier-Grade NAT, the issues with the potential selling of IPv4 addresses… any summary won’t do it justice. Please go read her post! And then once you’ve read that, why don’t you please visit our Start Here page to find resources related to IPv6 to help you get started! 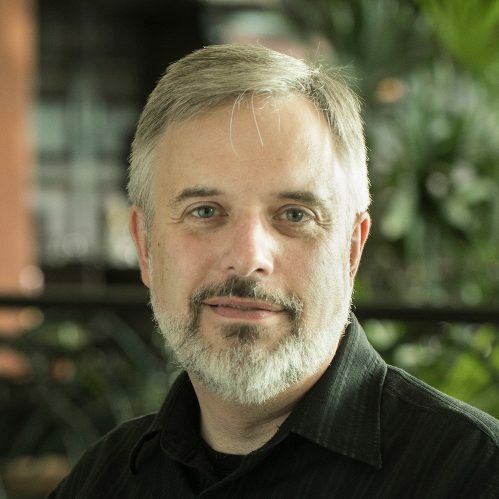 “The Internet needs to keep evolving and there are things that should happen beyond IPv6 but to overcome the present address space exhaustion, we need to implement IPv6 essentially everywhere”.